This is a hot topic for sure. My phone immediately began to ring yesterday shortly after posting the petition from Change.org to Stop the lifted Ban on Chumming in rivers and lakes in Michigan that do not have any gear restrictions on them. I should know I am going to feel the heat from both sides on this issue, like many others, I am prepared and stick to my opinion. It is, after all, mine, and I have aright to have one. It seems so simple when my daughter comes home from school telling me about a boy who calls other girls bad names-“So don’t hang around him, he isn’t someone you should hang around anyway.” True? It is unfortunate that the issue will once again divide anglers, as much as the fly versus bait community already is. But others point out that they too, like myself, throw Rapala’s and Panther Martin’s from time to time, I am not the ‘uppity, ultra cast-upstream using only Catskill tied Dry flies’ kind of guy that you make me out to be. Understand, I speak for the ecosystem and the environment I live and work in. You cannot truly believe that the five, now three salmon, I see individuals ‘catch’ at the dam downtown every day, actually ‘taste’ that good. Their half decomposed and rotted flesh? But you argue they taste great smoked! Really? I know for certain that a decent number of said individuals don’t have jobs, because I see them lined up in the morning when I talke the dogs for a walk along the river, later in the day on my way into work, and into the evening after I get out of my shift from the restaurant, for days if not weeks in a row. There aren’t many, if any, third shift jobs in the Petoskey Area that they might be getting ready for. Suppose the salmon is actually good for consumption when they turn blackish grey, would you feel comfortable paying for it at my restaurant for $23.99? No amount of terragon beurre blanc is going to make that white flesh taste like fresh salmon. I have recieved input from the DNR regarding salmon stocking reductions, it has merit. The balance between the alewife population and salmon populations need to reach a better balance. 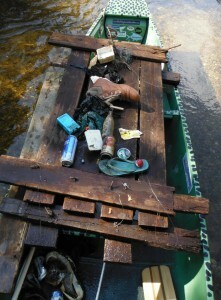 People really shouldn't trash the river. I only know what I see on the rivers I frequent, so I won’t talk about the Muskegon or the Pere Marquette. But last year alone, I floated the Boyne river and removed braided line wrapped around logs that had leaded treble hooks attached, along with a myriad of worm boxes, vodka bottles and beer and pop cans. The Spyder line and treble hooks disturb me the most. These anglers aren’t fishing- they should call themselves salmon farmers. They must be feeding a few rose bushes at home, or stocking up for spring steelhead runs. One thing to remember is that this is a multitude of seperate issues…there are responsible bait anglers who chum and don’t litter. 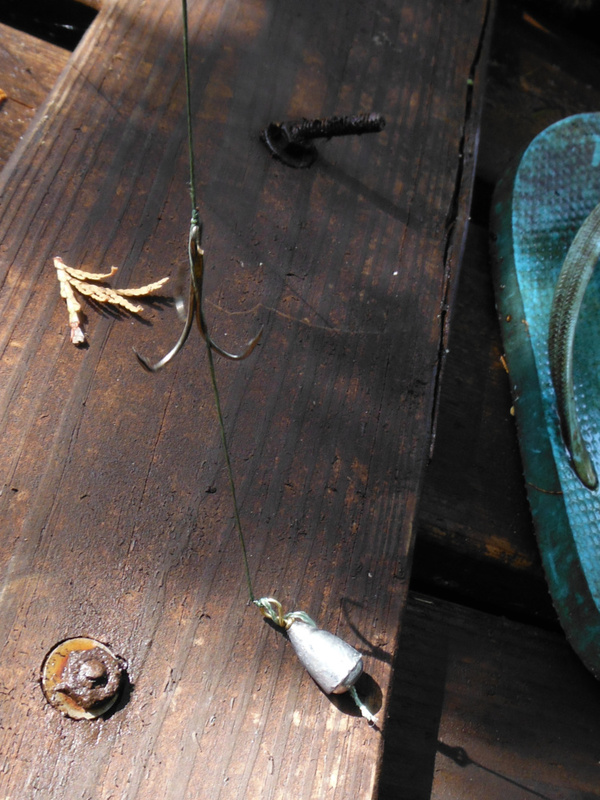 There are irresponsible bait anglers who chum and litter and use illegal gear. Ther are responsible fly anglers who fish with the right rigs and don’t litter. There are irresponsible fly anglers who use illegal rigs and do litter. There are organizations accross the country that would love to ban fishing as a whole- and here we stand as an angling community divided- fly angler and bait anglers both pointing fingers- and as someone who fishes both types and works with anglers who fish both types and has the perspective from the outside looking in…its a social battle thats really hard to watch, especially knowing that someday it could give those organizations ammunition against the angling community as a whole. But the bigger issue here is not what gear types or methods you use…its educating people about not littering, using the right gear, and enforcing the rules. Prove to people that migratory fish do bite, and it is way more fun to catch a biting fish than to snag one (sure it’s easer to snag, but definitely not as fun). Call the RAP line- as a DNR employee I realize that the RAP line has its issues, and maybe you dont ever see that CO come out to respond- but, all of those RAP complaints get documented, and it helps use to better distribute CO’s to problem areas, helps determine where we assign future CO’s, and it helps Fish Division look more closely at our regulations. Very true, it is completely about the education of river stewards and the people who use them, thank you. Unfortunately, up here, most people don’t want to hear nor be educated. They want to continue what their father’s taught them. After all, they stock the rivers for us to take, right? Shouldn’t be so black and white. The enforcement is the other issue. The state keeps cutting budgets and there are fewer CO’s with more responsibility and even though you may call on a poacher, ther eis little the DNR can do if there one or two CO’s are a county or two away…. The spin fishermen are far less aware of conservation in my opinion. I almost never see fly fishermen litter or break the rules. Have you ever seen a fly fisherman with a treble hook on his line? I think not. 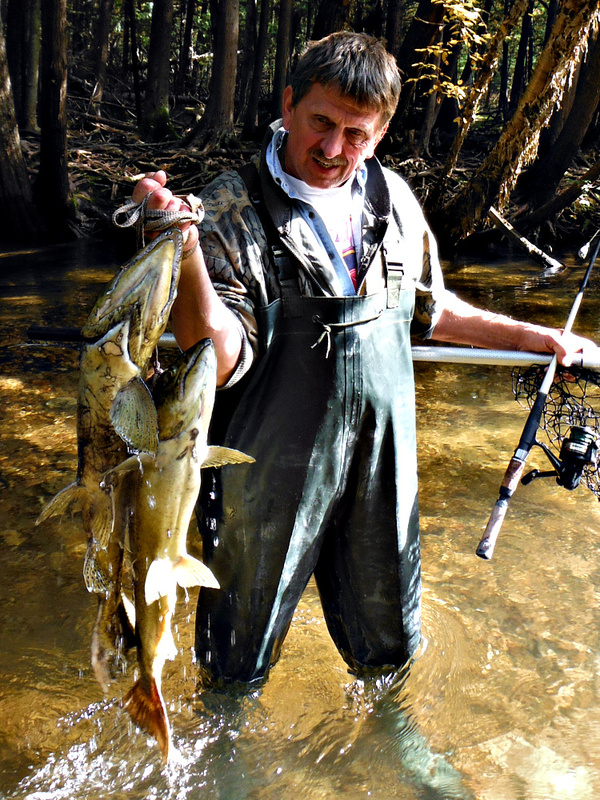 In my 25+ years on the rivers 200-300 days a year, I have seen my fair share of nonsense. As far as the issue at hand goes, I agree with the no chum rule. 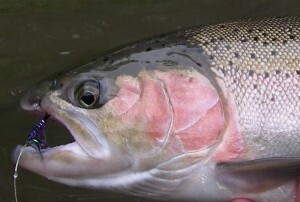 I have witnessed guys who would snag Steelhead just to cut their guts open and steal their eggs. Then they would leave the river with the eggs and leave the fish. I have fished the Boyne. It’s not too bad as far as litter goes. The manistique river in the Upper Peninsula is gross. Worst river I have ever fished for ethics etc. The locals kill everything, snag, litter, you name it. I have personally witnessed a lady dumping oil right in the river, an old guy with 9 snagged steelhead, all killed. (I even have a photo of that guy.) A group of guys were busted by the C.O.s with 500 pounds of illegally snagged chinook salmon in their truck bed. The list goes on and on. The issue is the same with C.O.s and their duties here too. I feel education is a key element in conservation. However, a good portion of anglers don’t care or care not to be educated. The have that “my grandpa said this or did this” attitude. Conservation starts with every angler.